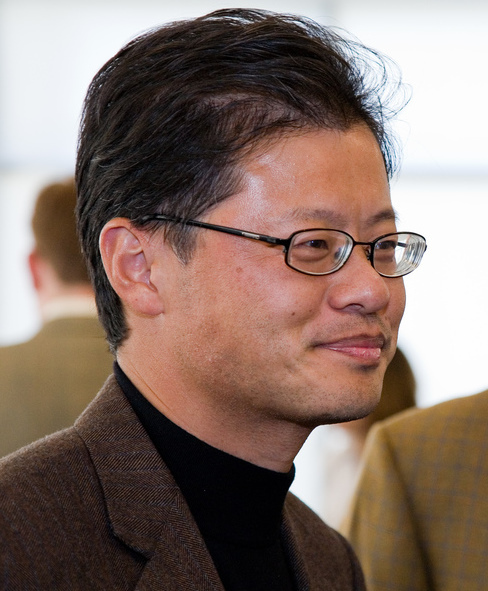 Somewhere out there, Yahoo cofounder Jerry Yang must be shouting his company’s name for the first time in years. That’s because Yahoo closed above $31 a share–by three pennies–for the first time since October 2007, a few months before Microsoft made a blockbuster offer to buy the company for that same price per share. And for all that current CEO Marissa Mayer has done to revive the long-dormant company, it’s finally worth giving Yang due credit for Yahoo‘s stock success for the past year–not to mention its very existence. Investors can reasonably argue that Yahoo‘s shares were dead for years following Yang’s much-criticized intransigence against Microsoft‘s buyout offer. So simply because they’re now worth a few cents more than Microsoft initially offered (though still a little less than the $33 Microsoft later offered) doesn’t mean Yang’s decision was the right one at the time. Or even now, five years later, given where Yahoo investors’ money could have been better deployed. Google’s shares, for instance, while volatile over the years, are about 75% higher than in February 2008.